This weekend brought about two happy finishes. I am going to show them in reverse order. 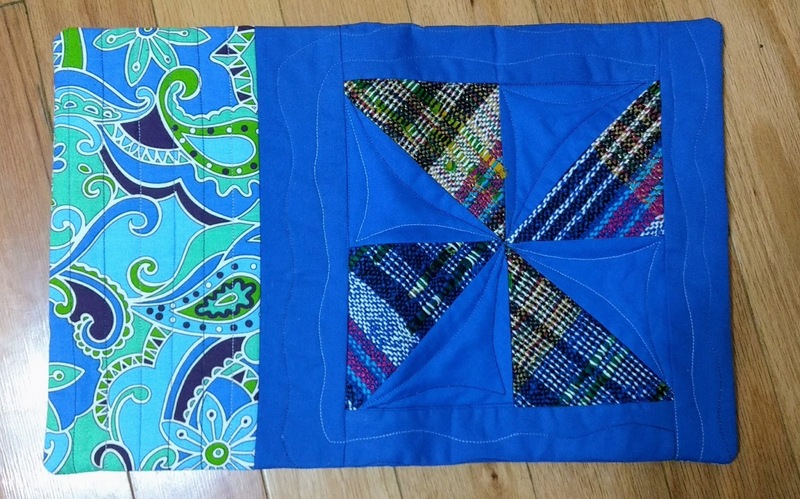 The second finish was a small project on my rigid heddle loom. This is another light and airy scarf that is so different in appearance from the other three that I have made so far. I used the colors of the ocean and the islands of the Caribbean. There are several sparkly threads that run throughout the length of this piece although they do not show well in the photograph. A bit of the sparkle shows up in this photo but it is a bit more showy in person. As you can see, it will pair beautifully with a simple black dress or blouse. 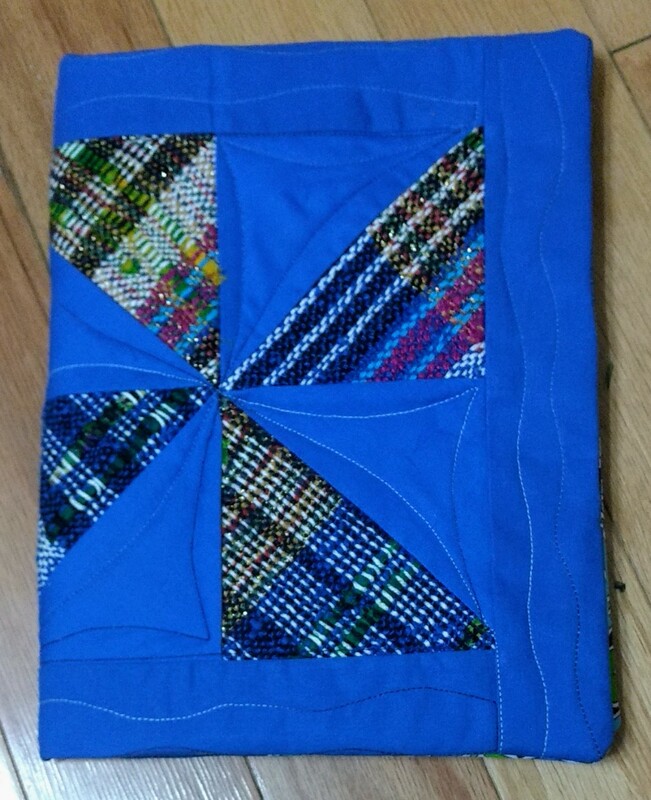 The first finish was the blue patchwork notebook cover. 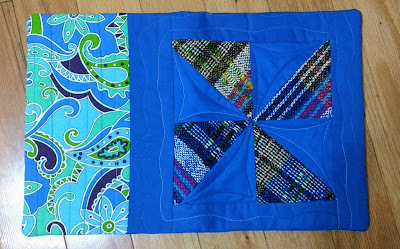 Since you have seen the patchwork already, I didn't want to show it first. Opened face-down- showing the full outside of the cover. The scarf is just my style! Great job. I'll have to try making a notebook cover one of these days. Have a great week. Great finishes....love, love love the scarf and anyone would enjoy the notebook cover. A good week for you! The first thing I noticed, before I even read the blog post, was that the scarf had sparkles. Don't you just love the way those ladder yarns add a bit of bling to a scarf? 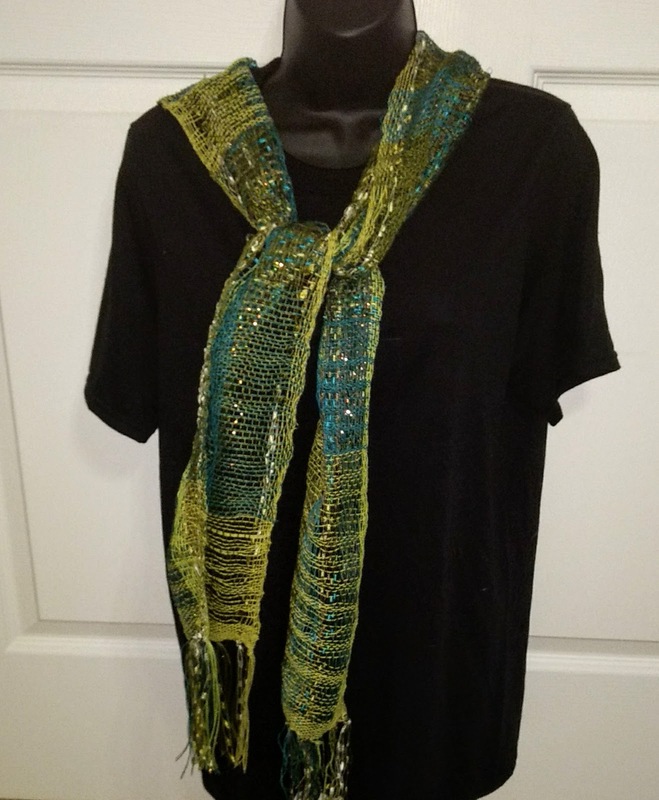 When I can I add a strand of it to scarf warps. Sometimes, depending on the sett of the warp, it can come out looking almost like beading. 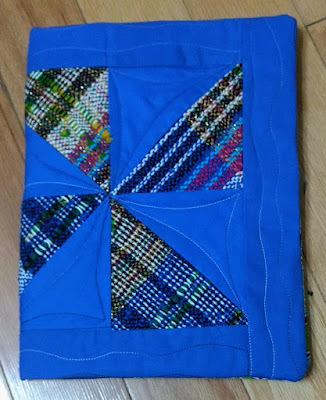 Your book covers are always lovely, but of course I am even more partial to the ones that include your handwoven cloth. WHAT an amazing scarf....that is just beautiful....as you know, us women love sparkle and bling. 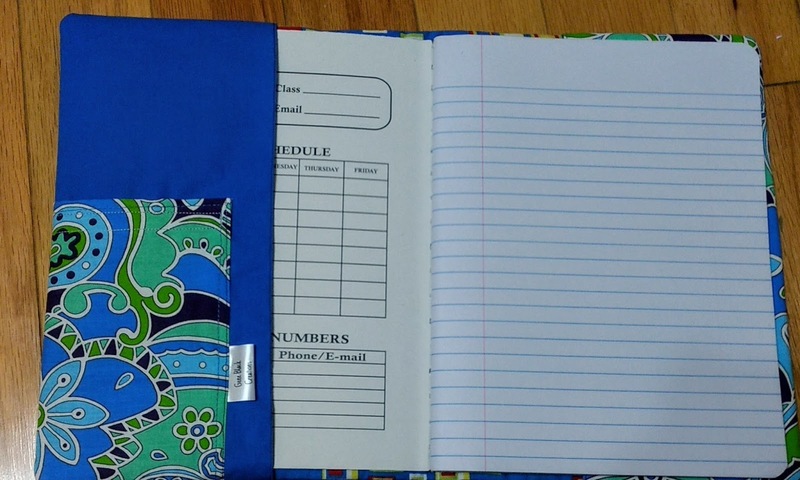 Love your notebook cover.